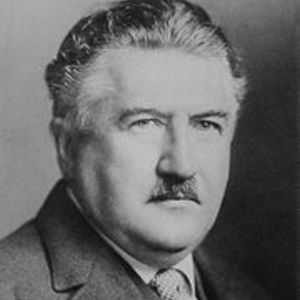 Czech composer and violinist Josef Suk (January 4, 1874 - May 29, 1935) was born in K?e?ovice, Czechia. He studied at Prague Conservatory from 1885 to 1892, where he was a pupil of Anton&iacute;n Dvo?&aacute;k (he married Dvo? ?k's daughter in 1898). He formed the Czech Quartet with three of his fellow students ? Suk played second violin with them for most of his life. From 1922 he taught at the Prague Conservatory where his pupils included Bohuslav Martin? and Rudolf Firku&scaron;n&yacute;. He died in Bene?ov. Suk's early works show the influence of Dvo? ?k and Johannes Brahms, while later pieces use more extended harmonies to create a more personal and complex style. Unlike many of his countrymen, he made little use of Czech folk music. His best known works are probably the youthful Serenade for Strings (1892) and the symphony, Asrael (1906), a work written in response to the deaths of his wife and Dvo??k. Other pieces include the Fairy Tale Suite (1900), the cycle of piano works Things Lived and Dreamed (1909), and the trilogy of symphonic poems A Summer's Tale (1909), The Ripening (1917) and Epilog (1929, for chorus and orchestra). He won a silver medal at the Art Competititions during the Olympic Games of 1932 at Los Angeles with his work Into a New Life. Suk was the grandfather of the violinist Josef Suk. Composer Suk was the grandfather of the violinist Josef Suk, therfore are two musicians named Josef Suk: 1. A classical composer. 2. His grandson, a classical violinist.